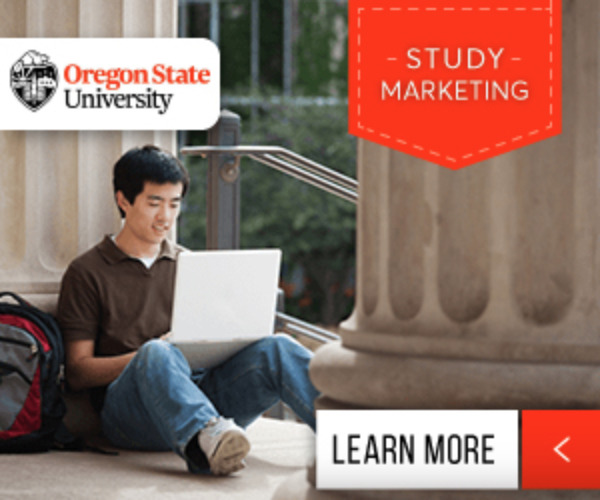 Why should I study marketing? Is it the right choice for me? These are important questions to ask as you decide what major you'd like to pursue. Read on to see what marketing is all about and if you're cut out for this exciting and fast-paced career. There are several factors international students should consider as they decide what major to pursue. It is important to ask yourself questions like "why study marketing?" and "is marketing right for you?" or "Is it a good career path to choose?" and "is it something you'll enjoy doing?" to see if this is the right area of study for you. This is probably the first question you should ask yourself as you consider pursuing a degree in marketing. A marketing degree will open many doors for you in your career, as it is an integral and in-demand job for most companies. The skills and techniques you'll learn while studying marketing can help you later on, if you decide to pursue a different type of degree like business management or advertising. When you study marketing, you'll acquire knowledge that can help you in any business-related career, because you'll understand the importance of consumer relations, communication, and the various stakeholders involved. Marketing isn't for everyone—it's an exciting and rewarding career, but you need to possess a combination of several personality traits and characteristics to make it in the marketing world. Although successful marketing professionals come from different backgrounds there are some personality qualities they tend to have in common; you need to be creative and self-motivated, you have to be able to work well in a team environment, very detail oriented, a planner but also open to last minute changes, you need to be a leader at times and a follower when necessary, you need to know how to stay up-to-date on trends, be optimistic, able to understand your consumer, and so on. Really, the list could go on and on but you get the basic idea. The truth is that there is no one trait or list of specific traits that a marketing professional needs to have, but a sort of combination of all of them all. Another important question to ask yourself is if marketing is a good career path to choose? Luckily marketing positions are becoming a major priority in many companies and consequently international students who study marketing can get a job almost anywhere these days. Think about it, basically every company or brand needs a marketing team. When you study marketing you don't normally study a specific type or area of business, you'll study marketing as a whole and all the different responsibilities involved in a marketing career. Once you graduate, you can work for a car manufacturer, a food chain, clothing designer, celebrity, university, etc. There are endless career opportunities in the marketing world. Is it a career you'll enjoy? Now that we know there are a ton of job options out there, what exactly will a marketing job involve? Well there is the standard data collecting, budgeting, and marketing strategies kind of thing, but what about the exciting stuff? Really the "fun" part of the job depends on you. International students should take a look at some of the successful marketing campaigns created by American companies to get an idea of just how cool marketing can be. Let's take Nike for example: they lost the chance to be the official sportswear sponsor of the 2012 Summer Olympics to their biggest competitor, Adidas. Since they weren't going to get all the exposure and perks of being an official sponsor they had to come up with a really great marketing campaign to compensate for it. That's where Nike's "Find Your Greatness" campaign came into play. The campaign focused on identifying with your everyday athlete. The majority of Nike's consumers don't compete in the Olympics; they're high school basketball players, morning joggers, cyclists, and swimmers. Nike made an amazing and inspirational video about average athletes pushing the limits and finding their own greatness, then they used social media to share the video and engage their consumers. This one video had more than 4 million views, and Nike's campaign was featured in the media almost as much as Adidas was during the Olympics. What's the moral of this story? Nike's marketing team used an inspirational message as the center of their campaign—one that their consumers could identify with—and ultimately gained as much exposure as Adidas had worldwide. And the best part about the whole thing? Nike didn't even spend half the millions of dollars Adidas did to get an Olympic sponsorship. In conclusion, as you ponder the questions "is marketing right for you" or "why study marketing", just think about all the great job opportunities, cool job description, and the fact that you may have the perfect personality type to excel in the marketing world. Studying marketing in the USA presents international students with a lot of different career opportunities—it doesn't confine you to one type of business or industry. After you graduate with a marketing degree, decide what type of marketing job you'd like to have and make it happen! Learn more about studying marketing in the USA by reading our growing article collection. « Study Guide by Subject	« Study Marketing in the U.S.
Over time we will be updating this section and including more information for those who want to study marketing in the USA and for other countries, but please feel free to post your thoughts and comments on our Facebook fan page, and also follow us and post questions through Twitter. Visit the Study in the USA School search to find schools that offer programs of study in Marketing.